The TPI Assessment is a physical screening process of 13 tests. We will isolate any physical limitations and prescribe a custom conditioning program to improve flexibility, balance, strength and coordination. You will attain positive results in multiple areas including improved posture, reduced pain (in daily life and while playing golf), increased distance, accuracy and consistency in your golf swing. This class is designed for you to explore and get to know your body while being kind to it. The aim is to improve flexibility in order to maintain ease of movement, in a functional range of motion, for everyday living. You will leave this class feeling more supple and rejuvenated. 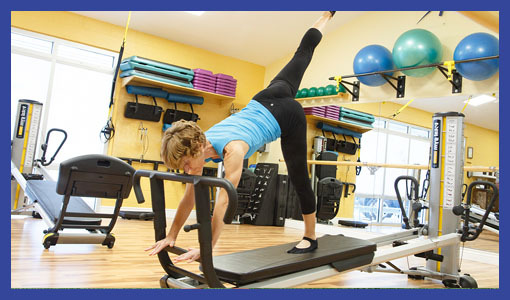 Joseph Pilates called his physical fitness method “Contrology”. He originally used bedsprings as resistance and assistance for some exercises. The Total Gyms GTS allows us to use gravity to challenge the core musculature. Emphasis is placed on diaphragmatic breathing, control of the spine and the limbs, along with fluid and precise motion. Quality, not quantity, of movement is emphasized. 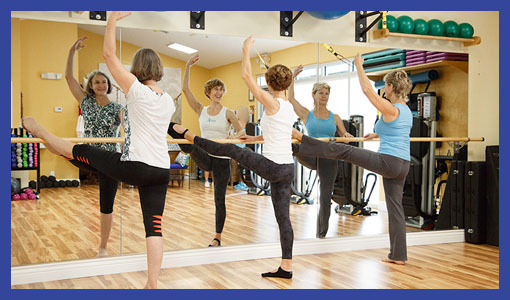 Using a ballet barre for assistance, this class strengthens and tones the lower body from hips to toes. 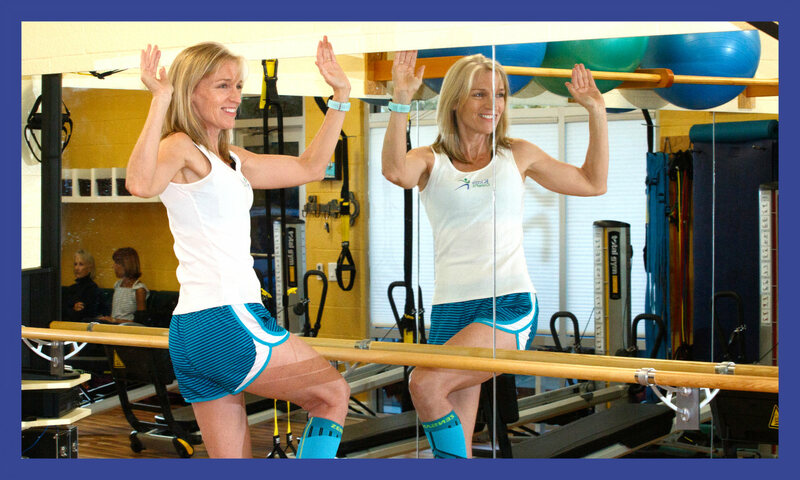 Participants are always encouraged to challenge their balance by letting go of the barre. Neutral spine alignment is used (no tailbone tucking) as well as natural, not forced, turnout (external rotation of the hips). The upper body is not neglected. Balls, bands and other props are utilized for a total body workout. 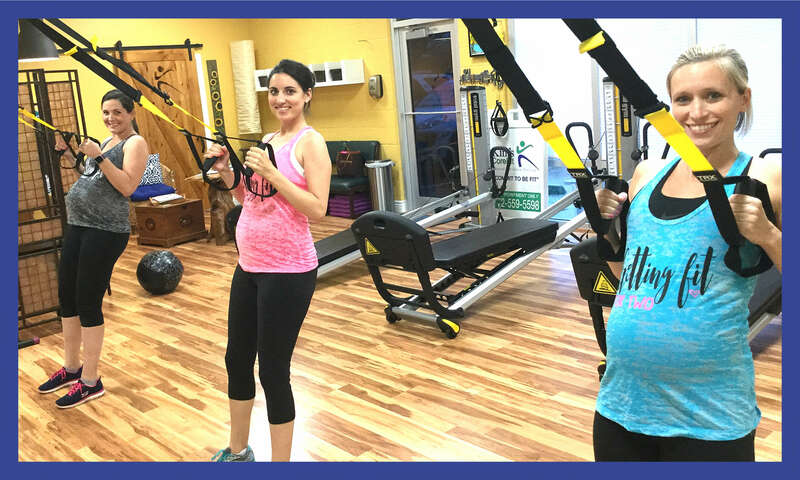 For moms to be and new moms, Total body workout utilizing GRAVITY and TRX. Safe and effective exercises to keep your body strong while waiting for that bundle of joy. Senior session focusing on balance and fall prevention. Working on posture, core, strength and flexibility to age gracefully. 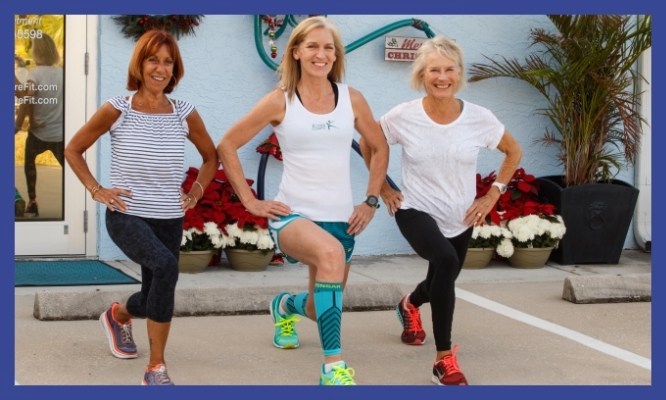 This program is designed by a runner for runners to help improve overall fitness through weekly sessions that incorporate strength training and core conditioning. 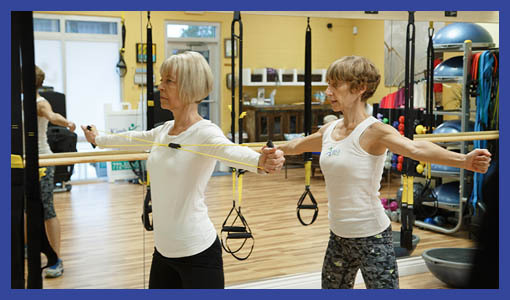 The program focuses on exercises to increase overall strength, improve posture and balance, and strengthen joints for better stability. Ultimately, “Fitness for Runners” will help you become the most efficient runner you can be while remaining injury free. Interested in learning more about the classes we offer? Start your fitness journey. Commit to be fit at Kim's CoreFit.